With nearly 4000 square feet of retail area, you’ll find Cedar Mill Liquor the ultimate in liquor stores. 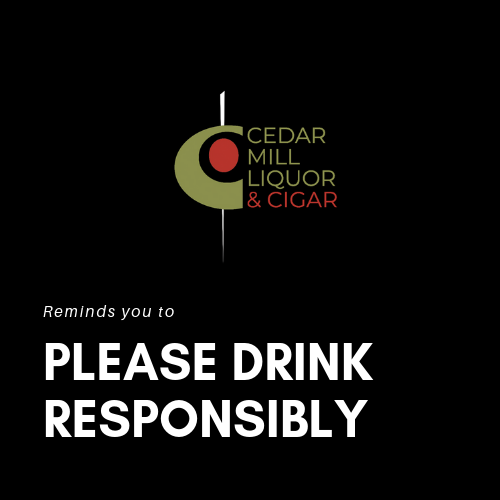 We offer everything from fine spirits, mix items, cocktail accessories, beer and wine to premium cigars, lighters, and cutters brought to you by friendly and professional employees with years of industry experience. If we don’t have what you need, just ask. We’ll be happy to order it for you. While you’re shopping, be sure to check out our selection of products from more than 20 local distillers, our 40 foot custom-made humidor, and try your luck at Oregon Lottery games. Are you looking for that hard-to-find specialty beer? We've got you covered. With one of the largest bottle and can selections on the west side, we have something for everyone. Craft beer fans, you will find beer from all over the US with an emphasis on local and northwest brands. If you prefer domestic brands, we have those too! At Cedar Mill Liquor & Cigar’s growler fill, we frequently rotate our 10 taps. You will find the best beers and ciders, many of which are only available on draft. Come down and grab a crowler or fill your growler. We do our best to keep our menu up to date, however please call to confirm our inventory if you’re looking for something specific. If by chance you don’t find that special wine in stock, let our friendly staff special order it for you. Depending on the supplier, we ask for a minimum order of between 3 bottles and a full case. To check our current inventory, click the button below and type "1107” in “Location”. for the ultimate in premium cigars and accessories. We offer 350 selections from more than 50 brands, presented in our custom-built 40 foot humidor. Plus a complete line of humidor accessories, lighters, and cutters. We buy direct so you save money! Tobacco retailers, call us for information on our wholesale program. Bring your own growler or purchase one from us for $6. Crowlers are disposable and included in the price of the beer. Keep in touch- sign up with your email address to receive news on events and specials. Must be 21 years or older.